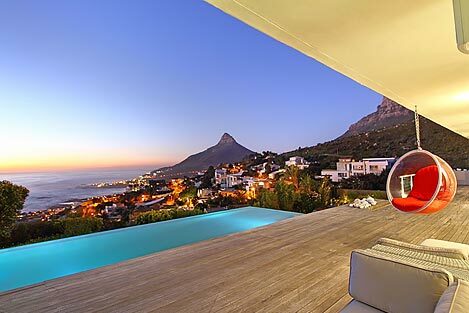 The Falcon is a majestic 3 bedroom Villa on the hills of Camps Bay, bordering the slopes of Table Mountain. A proud driveway leads up to the front entrance where the Villa leads in to a mirrored stairwell leading up to the main floor above. The living space on the first floor is divided into a kitchen and dining area, as well as a formal lounge and informal TV room. The formal lounge is styled in rich shades of grey which perfectly contrast against eye-catching pieces of art adorning the walls. 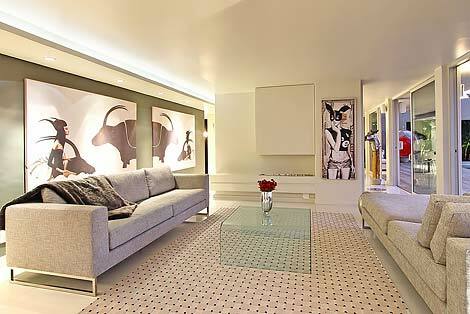 Minimalist furnishings create a magnificent sense of space and are of a quality tantamount to high end luxury. Leading off the formal lounge is the TV room with flat screen TV and direct access to outdoor dining area with built in gas BBQ. 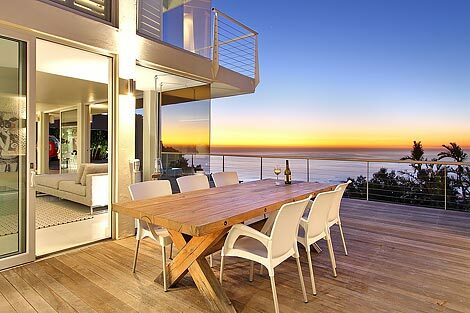 Large sliding doors open the length of the TV room, formal lounge and dining room, opening up the entire living area to the deck with infinity pool. The top floor features three sea facing bedrooms. 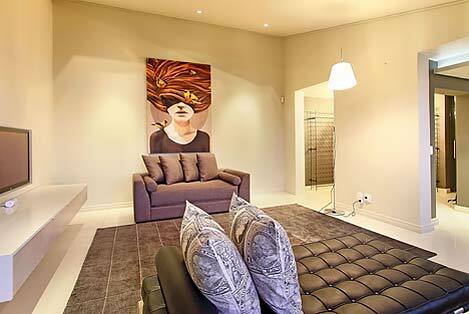 The second and third bedrooms each feature a queen bed and share a spacious bathroom with bath and walk-in shower. 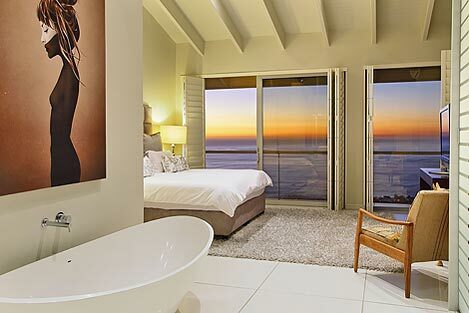 Both bedrooms have large sliding doors which open up to reveal endless views of the coastline and crashing waves. 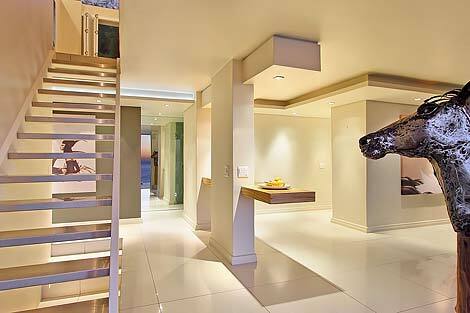 A balcony runs the length of the top floor, creating a seamless link between the bedrooms. 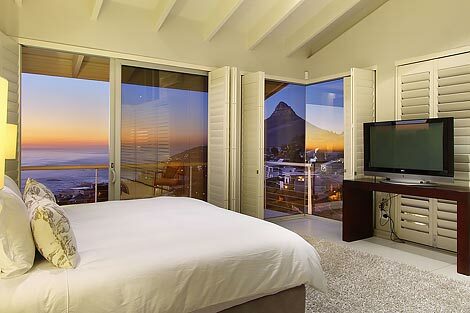 The piece de resistance is the master bedroom with king size bed and unsurpassed views of the coastline and imperial Twelve Apostles mountain range. A free standing oval bath beneath works of modern art evoke a sublime sense of rest and relaxation. 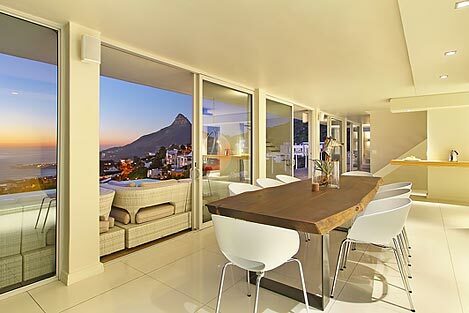 Great panes of glass extend to the ceiling beyond the en suite, open plan bathroom walls, highlighting the majestic Twelve Apostles range. The spacious bedroom offers ample cupboard space, features a flat screen TV as well as state of the art, high end bathroom furnishings.